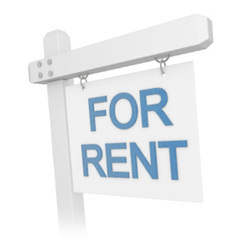 Landlord Reports - Local & National Electrician, Electrical Contractor, Electrician In - Stirling, Alloa, Falkirk, Glasgow, Edinburgh, Scotland. We carry out various electrical installation and testing work for a large amount of private landlords, letting agents and housing associations. 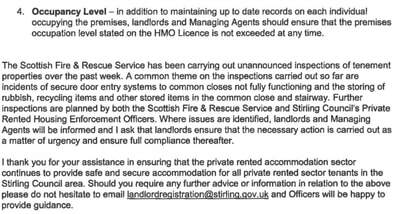 Please read the below information and if you require any further information, clarification of pricing please contact our job booking team on 01786 813916 or book or enquire online. 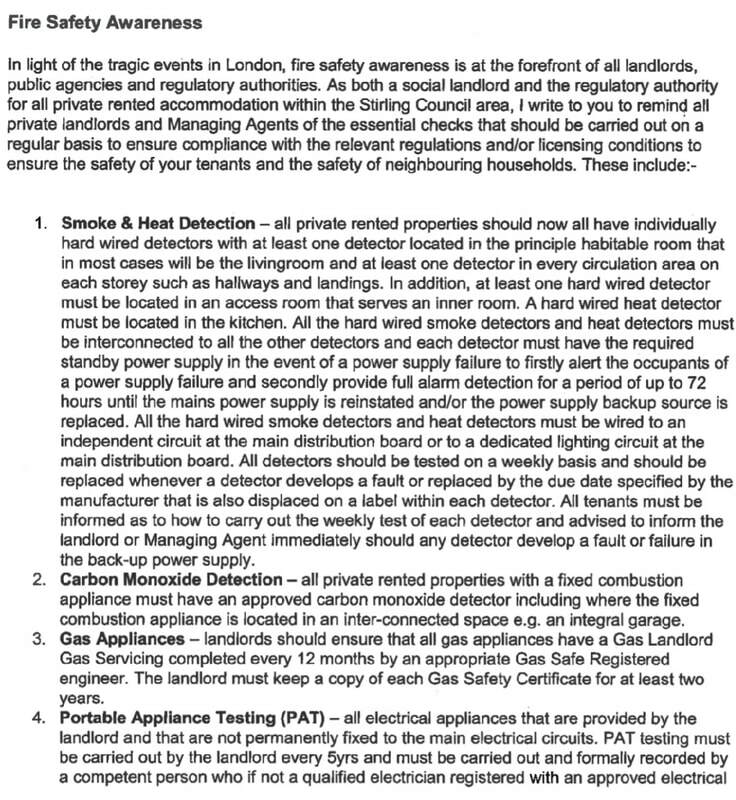 LATEST LEGISLATION NEWS - Electrical Fixed Wiring Testing (EICR) and PAT Testing become mandatory for Private Rented Properties in Scotland on 1st December 2015. 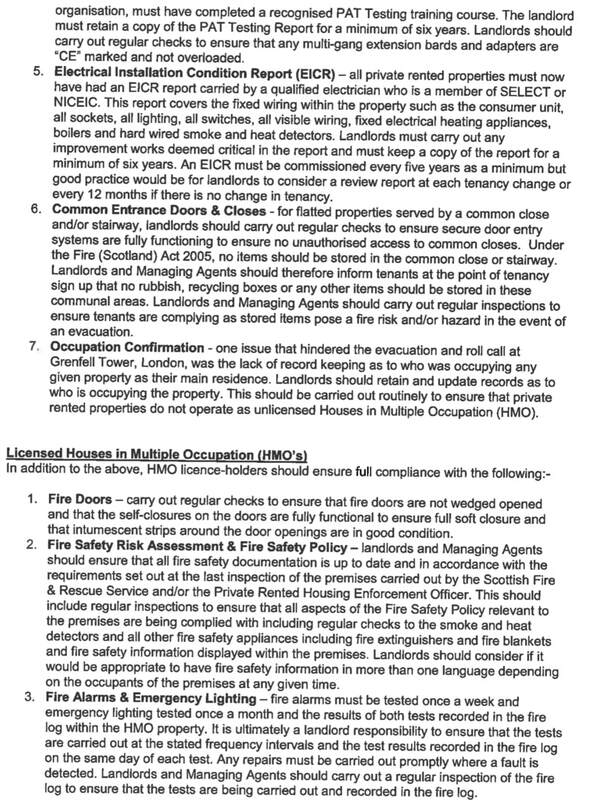 An electrical safety inspection must have been carried out and in place: Before a tenancy starts and during the tenancy at intervals of no more than 5 years (could be 3-4 years for HMO property) from the date of the previous inspection. 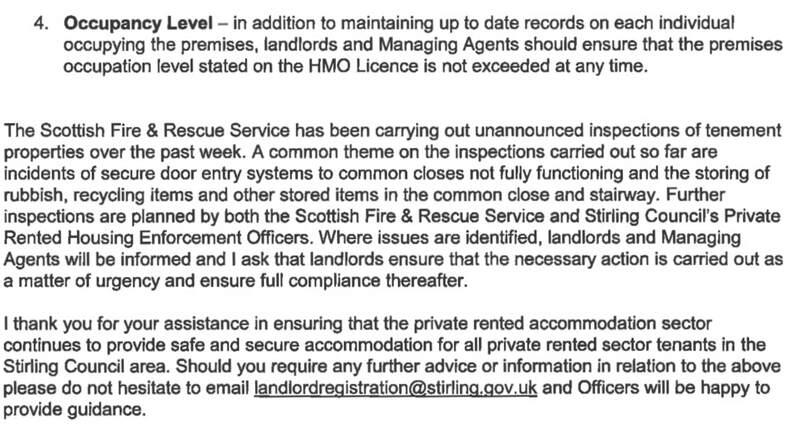 The above information was published by the Scottish Government on 19th February 2015 and came into effect on 1st December 2015. 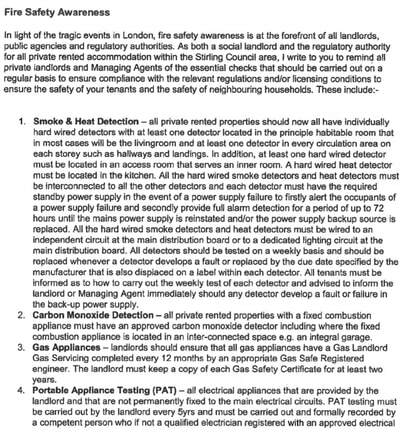 From May 2014 Private Rented Properties to comply with the Repairing Standards, must comply with the revised Technical Handbook 2013 in relation to smoke and heat detectors in private rented properties. There are exceptions as to why the work may not be carried out as stipulated in the guidance but failure to do so without reasonable excuse could result in enforcements action being taken. 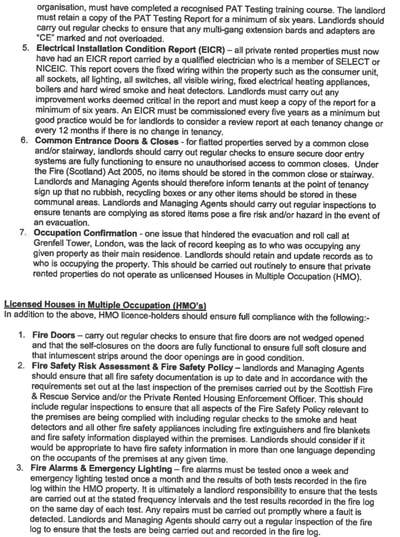 The above also applies for House of Multiple Occupancy (HMO) properties but stricter rules apply such as each bedroom must have smoke alarms and emergency lights must be installed in escape routes. Fire alarm panel systems may be required in certain building types. Satisfactory Electrical Installation Condition Reports are also required normally every 3 years depending on local authority region. Contact us with the services you require and we can put together a discounted price. We've listed some services below that may be of particular interest.